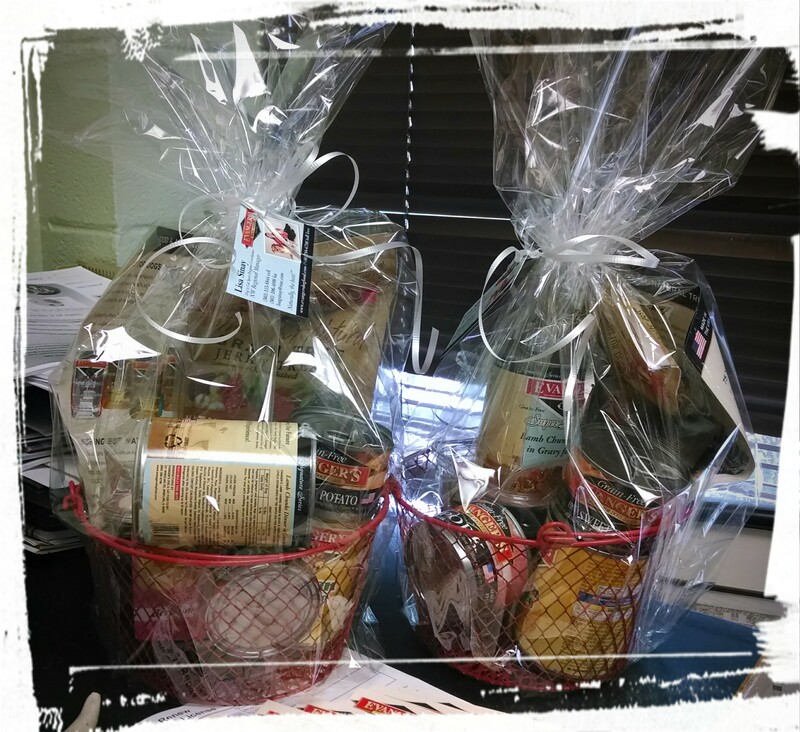 Evanger's has donated these fine Gift Baskets to our Raffle! 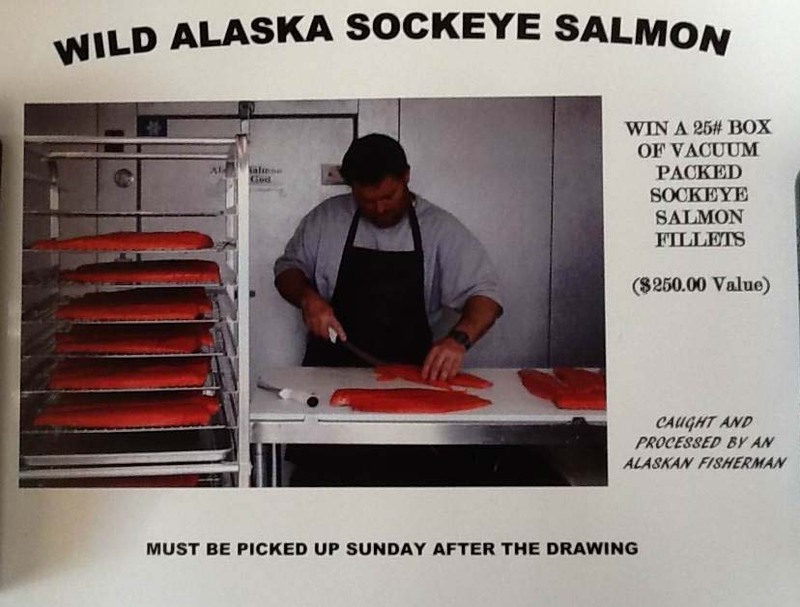 Remember you can purchase tickets online now and up until the raffle or on location this weekend! Junior showmanship isn't just about winning, its about having fun with your dog. I showed in juniors for 6 years. I showed a few different breeds but the bullmastiffs were my favorite. 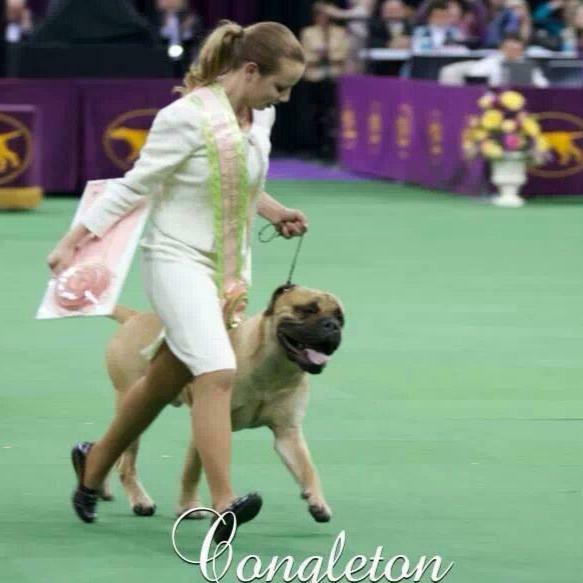 I showed one bullmastiff in juniors mainly which was Oliver (the one I won BJ at the garden with). I bought him from Crystal Corner almost 2 years ago. I went to a show in Indiana with Jane and Greg Myers to pick him up. I've been training him since then. The first time I showed Oliver in juniors was at the Working Dog Show in Orlando, FL June of 2013, I took Best Junior. Since that show, I was showing him in juniors and did really well. I showed Oliver in Juniors for 8 months and won Multiple Best Junior Handler wins. There are many benefits of showing in juniors. If you get 5 open class wins you can qualify for the Eukanuba National Dog Show and if you get 7 best juniors then you can qualify for The Westminster Dog Show. I enjoyed showing in juniors because it gave me time to spend with my dog. I work for handlers at every dog show I go to. So because of that, I am handling many dogs everyday. Juniors gave me a chance to just be able to spend time with my own dog. The only thing I didn't like about juniors was the bad sportsmanship some people had. I couldn't believe how angry some juniors would get when they lost. I saw one girl drag her dog back to her grooming set up and shove the dog in a crate with anger just because she didn't win best junior. I think its so important to have good sportsmanship. What is the point of showing in juniors when you aren't enjoying it? When I didn't win, I always reminded myself that there is always another dog show. 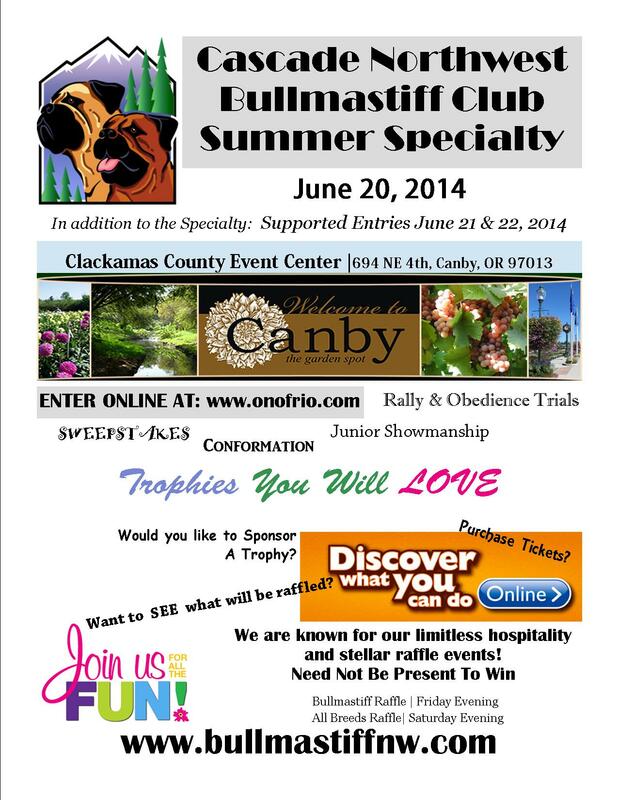 The Canby Specialty Is Coming! You know what that means: unite and rally together CNBC members, exhibitors and friends get ready for another fun filled specialty. I honestly wouldn't have done anything different because that would change who I have become and who I will go onto be. I loved all of the experiences Dog Shows and Juniors have given me. I won't forget any of it. I couldn't have asked for a better hobby or a better life than the one I have been given. Sure I stood out a bit in school, participating in something different, but who cared? I love showing dogs, being with dogs, being owned by a dog. They challenge you. They love you. Sure, there is drool involved. At the end of the day, they curl up next to you and give you a look as if to say, "Well that was fun. What's on the agenda for tomorrow?" Then it's time to get some rest because wouldn't you know it, tomorrow is gonna be just as exciting if not more. As for my future plans... Well, I want to continue breeding better bullmastiffs, but I don't want to handle professionally. Professionally I want to translate for businesses that have international relationships. I wont ever stop showing or owning dogs because they have become a big part of my life. They have taught me so many things: sportsmanship, kindness, unconditional love, communication, reading body language (animal & people) and to enjoy the little things in life. If I have any advice to those looking at becoming a Junior, it would be this: HAVE FUN because Juniors is all about having FUN and sharing a bond with an animal that loves you very much. Remember that they don't always know what we want them to do, but golly they do try! If you no longer want to take the same dog the show home with you after the show, then it's time to quit. Don't ever make it so competitive that you no longer enjoy the time with the dog on the end of your leash, because then, well you've just defeated the purpose of Juniors. 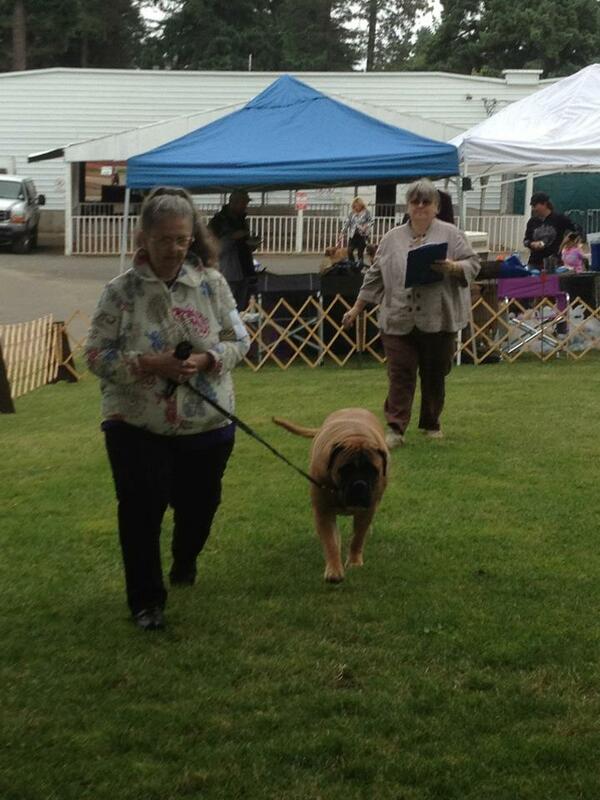 And we left off: Turns out, he showed for Barb and Eric Long with Barb'Eric Bullmastiffs. They soon became my mentors when Aaron went on to work for a professional handler on a consistent basis. They have taken me under their careful guidance and have taught me what it means to be a breeder. Oh gosh the things that I have learned. 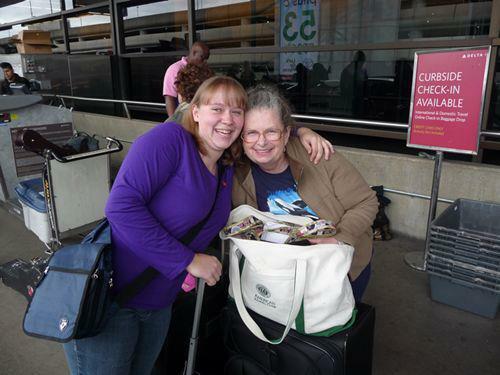 They set me up with a girl first, CH Barb'Eric's Abby of NCIS Fame RN. 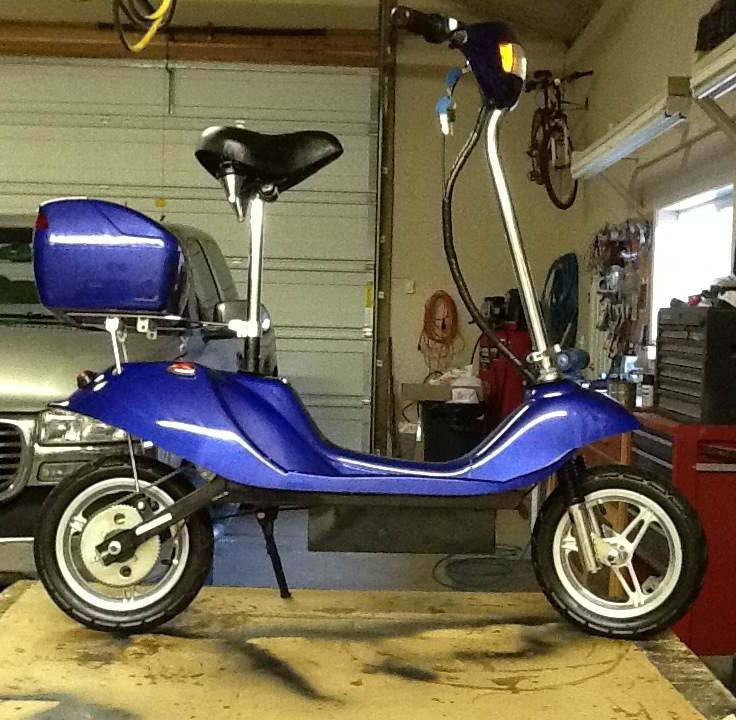 She was so stubborn but I was hooked from then on out. She and I went so far, but we had a lot of help from Eric and Barb's grandson Teagan. 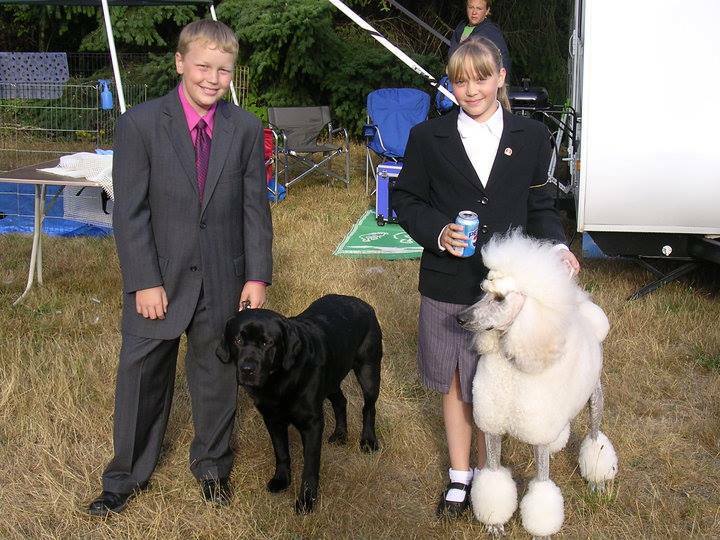 He went on to get her obedience titles and used her in the county fair as his 4H dog. 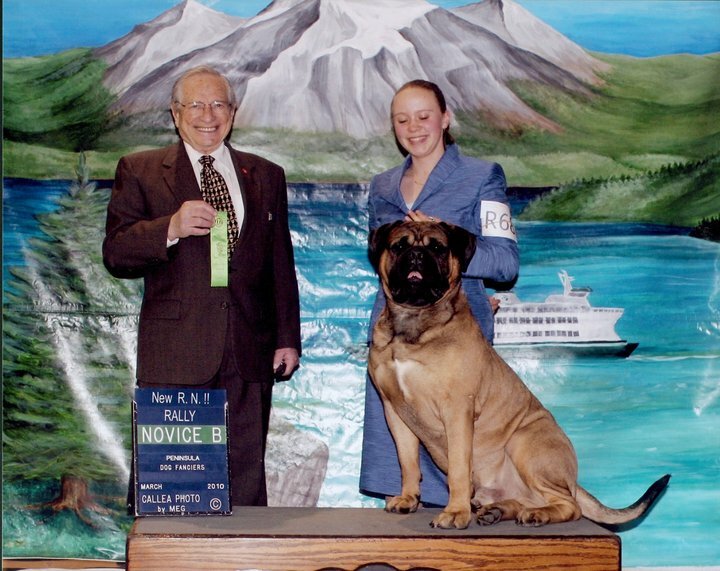 Next for me was GCH Guardsman's Barb'Eric's Mr. T CGC BN RN, Mr. T. He was the first bullmastiff I finished. 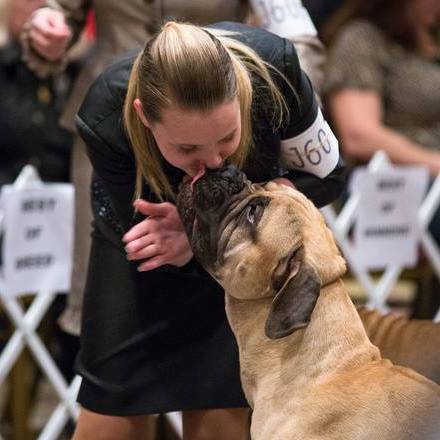 He and I went so far as a team, qualifying for Eukanuba 3 years in a row, being the top Bullmastiff Junoir for a few years, two National Best Juniors,and the Top 20 Breed Dogs in 2011. He was truly one of my heart dogs. He loved to be a couch potato on his weekends off and would play with our cat, our puppies, neighbor kids. He was a gentle giant who had no idea how to growl or what it was to be "the tough guy." He would puff up his chest, sure, but that was only if he didn't like the look or smell of someone. Boy did he protect any kids he was near, whether he knew them or not. After T came two bred by girls for me, CH Barb'Eric's Striptease and CH Barb'Eric's Tomb Raider. Both of them were spunky and outgoing! I love them that way, they truly loved to do anything you asked of them- except to not steal your french fries or your heart. As the years rolled on, came Orion, CH Barb'Eric's Orion. My T son. He finished in three shows with one reserve. He is so much his father's son with alot of his mom thrown in. Join us next time for.... the rest of the story. 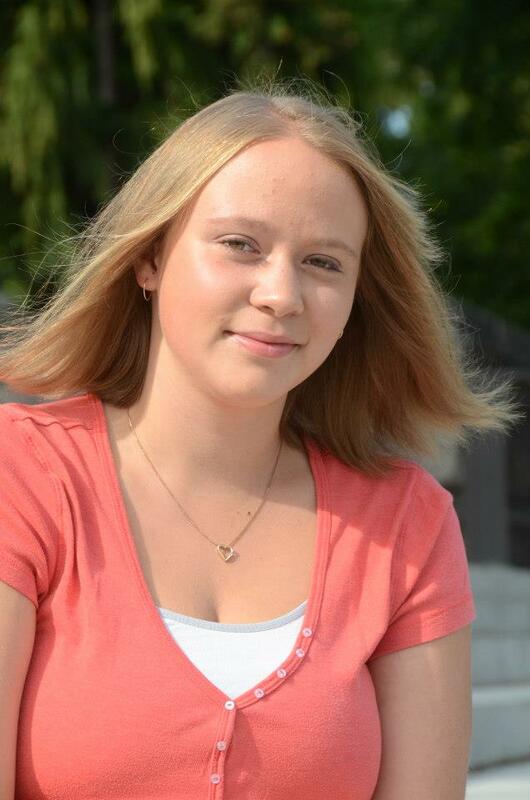 Many people don't know that Juniors exist, I certainly didn't. 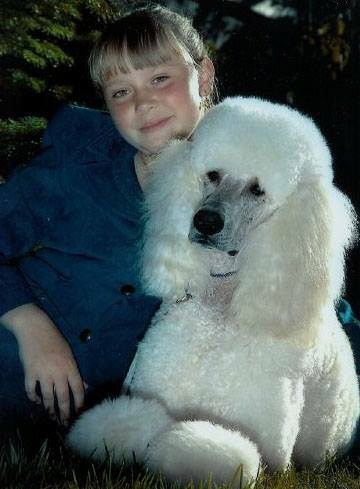 I didn't even know I could show dogs when I got my first dog, a standard poodle named Aden. The breeder got me into a 4H club in our area and the leaders both showed. One was a groomer and she showed dogs in obedience. The other bred and showed Labrador Retrievers. They saw that I was very interested in showing in AKC and thus, they took me along for my first dog show. 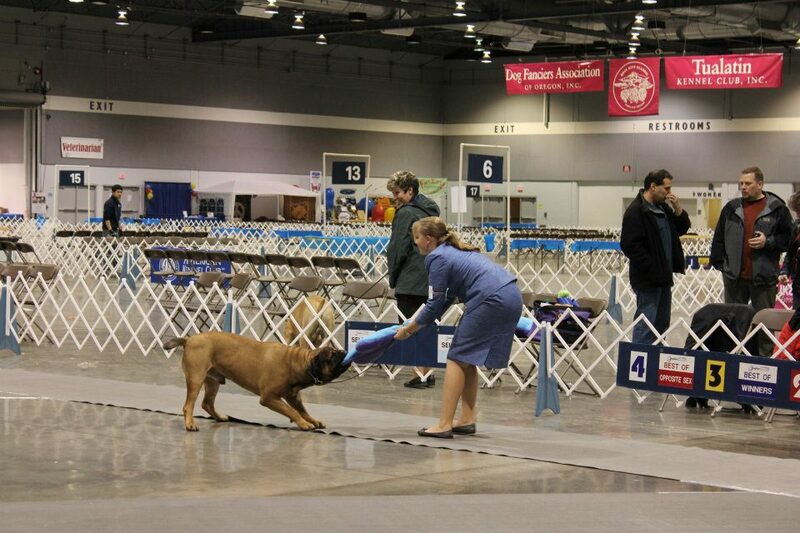 I didn't show dogs until I was 9 years old, and the first show I ever showed in was the Elma show in Washington. A young man in the group whom we all know well, Aaron Bradshaw, is the person who got me into showing Bullmastiffs. He always had these beautiful dogs. I never knew where he got them or how he got into that... but I want to. 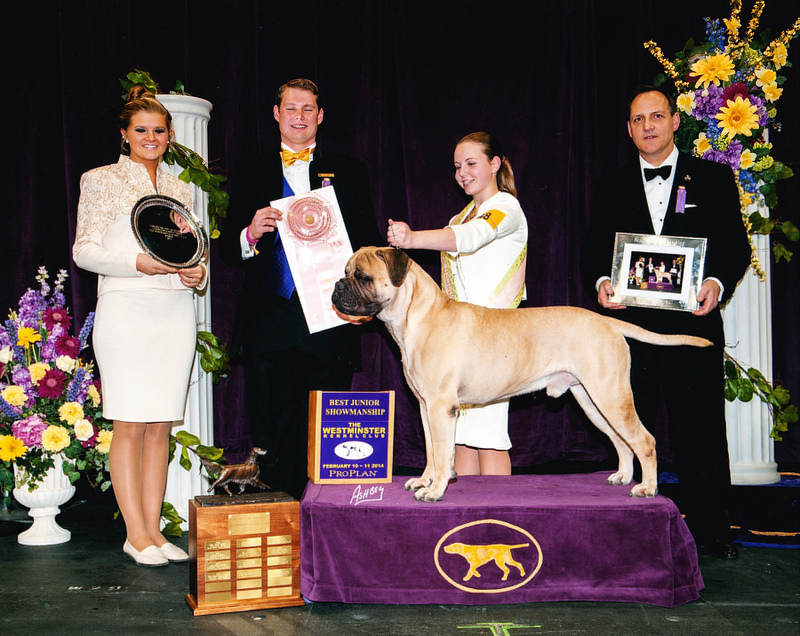 Turns out, he showed for Barb and Eric Long of Barb'Eric Bullmastiffs. 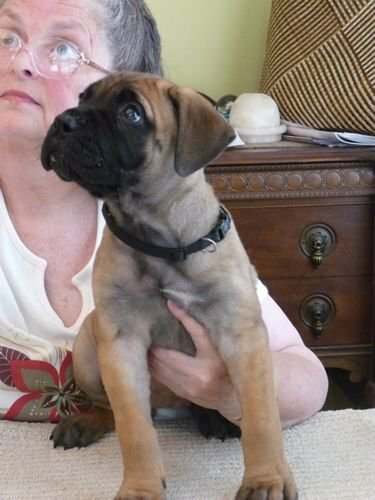 The Cascade Northwest Bullmastiff Club has expanded its website to include two new blogs: "TIPS & TRICKS" plus "HEALTH & RESEARCH". We hope you will visit our site at www.bullmastiffnw.com as we continue to strive to serve our noble breed well. Some holiday foods we hold dear can be quite dangerous to pets, such as chocolate and cocoa, candy and sugarless gums that contain xylitol, yeast bread dough, left over fatty meat scraps, and fruit cakes with raisins and currants. The fruit cake threat can be compounded if the cake is soaked in rum or another alcohol. Alcohol poisoning in pets can result in a dangerous drop in blood sugar, blood pressure and body temperature, potentially leading to seizures and respiratory failure. So, while entertaining this holiday season, it’s perfectly acceptable to ask guests to refrain from sharing human food and drinks with pets. Herein lie the myths. Over the years, the relative toxicity of poinsettias has been exaggerated. In reality, if ingested by a dog or cat, the sticky white sap usually causes only minor mouth or stomach irritation. Likewise, Christmas cactus can cause vomiting and diarrhea, and the spiny leaves of the Christmas or English holly can cause irritation and damage to pets’ stomachs and intestines. While serious complications aren't likely with holiday plants, it’s still best to keep them out of pets’ reach. Be sure to store guest’s handbags out of your pets’ reach. Handbags typically contain many items poisonous to dogs and cats. The most dangerous are prescription medications, pain medications(e.g., Tylenol, Advil, Aleve), sugarless chewing gum, asthma inhalers, cigarettes, coins, and hand sanitizers.